Volunteers provide valuable services to their neighbors and local communities, but the benefits of volunteering come back to them as well. Volunteers are able to earn valuable experiences and create opportunities for themselves as a result of their generosity. Here are some specific ways volunteering in your community can have a positive impact on your life. Many of us are lucky to have all the things we need. We have enough food, clothing and shelter, but some people in your community aren’t so lucky. By volunteering your time, you can help those who are less fortunate. It’s important to build relationships at any age. As a student, volunteering shows potential schools and employers who you really are. When you choose to volunteer you’ll not only meet people from all walks of life, you’ll gain valuable experience and connections that can stay with you for a lifetime. Working with other volunteers is a great way to meet like-minded people who want to change their communities for the better. The people you meet volunteering could be your friends, business associates and neighbors for years to come. Volunteering teaches you skills like problem solving, working efficiently, communication, teamwork and how to overcome difficult situations. All of these traits are attractive to your future employers. 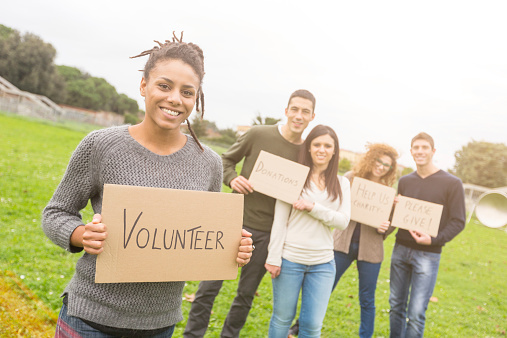 Volunteering is something that can help your resume stand out when you’re looking for your first job out of school. Explore our Volunteer Opportunities to find organizations and events that interest you most. It's easy to register with us as a Volunteer. Come and give it!